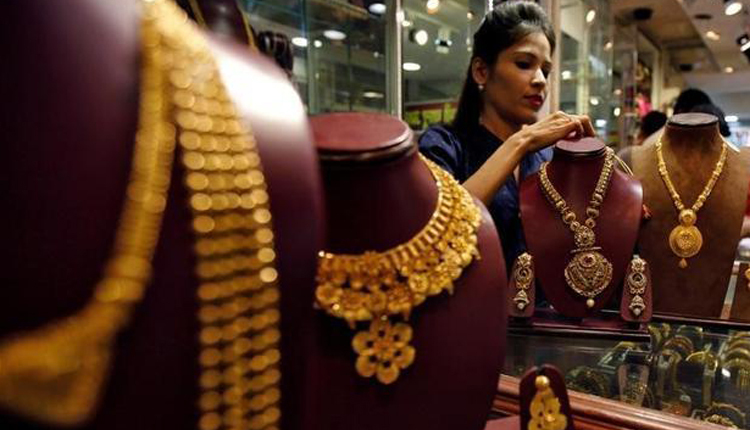 Gold prices on Tuesday held near one-week lows touched in the previous session, pressured by a firmer dollar and as investor appetite for riskier assets improved in the wake of strong U.S. economic data. Spot gold was steady at $1,313.95 per ounce at 0349 GMT. Prices in the last session fell to their lowest since Jan. 29 at $1,308.20. U.S. gold futures dipped 0.1 percent to $1,318.40 an ounce. Trading was muted in Asia with many markets closed for much of the week for Lunar New Year holidays. “Gold fell overnight as bond yields ticked up and the dollar was also strong due to a risk-on environment,” said Jeffrey Halley, senior market analyst, OANDA. The dollar held on to recent gains against its peers on Tuesday, supported by the recovery in investor risk appetite. Spot gold rose to its highest since late April at $1,326.30, last week, after the U.S. Federal Reserve kept interest rates steady and said it would be patient on further hikes amid a suddenly cloudy outlook for the U.S. economy due to global growth concerns and the U.S.-China trade dispute. However, solid U.S. jobs data that came out on Friday allayed concerns of an immediate slowdown in the U.S. economy. The central bank may need to raise interest rates a bit further if the economy does well, Cleveland Fed President Loretta Mester said on Monday. “It seems to us that investors will need to get more signals before getting more aggressive in (acquiring long positions in gold), which won’t come until $1,360 or so,” analysts at TD Securities said in a research note. Among other precious metals, palladium gained 0.2 percent to $1,367 per ounce. Silver rose 0.1 percent to $15.88, while platinum dipped 0.1 percent to $817.00.